After only 90 minutes in space, the Apollo stack on top of the S-IVB had made one revolution of Earth and was coasting over United States territory where it had continuous communication from Hawaii to the Atlantic. This 20-minute opportunity was mainly given over to reading up to the spacecraft three huge lists of numbers, called PADs (short for pre-advisory data).1 Each list passed on the details of three engine burns relevant to the next few hours, one of which, the TLI PAD, the crew would almost definitely use. The other two were for burns they hoped they would never have to make, because they were contingencies to abort the mission. Throughout every mission, NASA implemented strategies that would attempt to make any reasonable technical failure survivable. Sometimes this was by providing redundant systems. Another strategy was to lay down procedures that tried to preempt failure so that the crew and the flight controllers already knew what to do at any point in the mission should a problem make a return advisable. The strength of this approach was dramatically and successfully vindicated on Apollo 13 when they overcame a failure that was both crippling to the spacecraft and completely unforeseen. One procedure was based on the premise that the crew might lose communications with Earth while on their way to the Moon, or in lunar orbit. In case this happened, mission control always ensured that while they could still talk with the crew, they would keep them updated with enough data to enable them to return home as safely and as quickly as was appropriate. This was the function of the other two PADs read up while passing over Hawaii. They gave the crew all the information they would need if, for any reason, they had to return home soon after TLI. 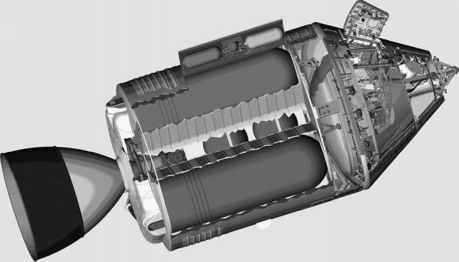 As the first was calculated on the basis of an ignition time 90 minutes after TLI, it was called the 'TLI + 90' PAD and would have required the CSM to burn its main engine for more than 5 minutes against their momentum away from Earth. The second was known as the 'TLI + 4 hours' PAD in the early Apollo flights, becoming a 'TLI + 5 hour' burn on Apollo 11. For the remainder of the missions, it was calculated on a time relative to lift-off, usually 8 hours after lift-off. Once the two abort PADs had been passed to the crew, they could concentrate on the translunar injection PAD and the preparations for the burn itself.